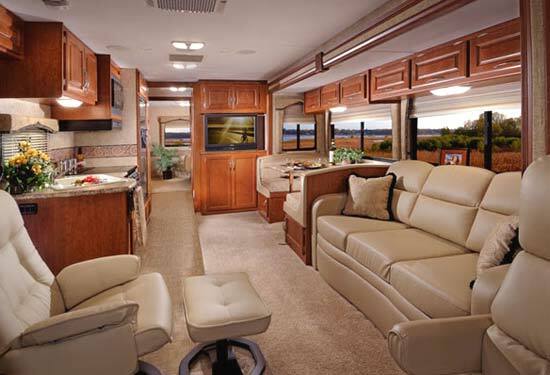 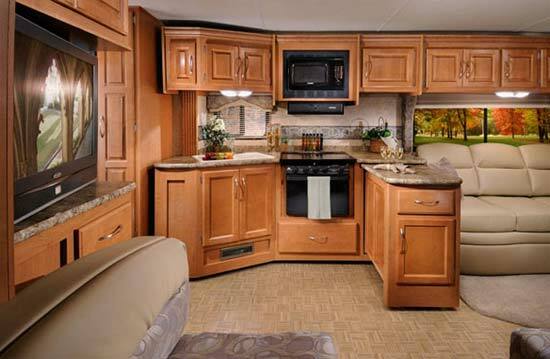 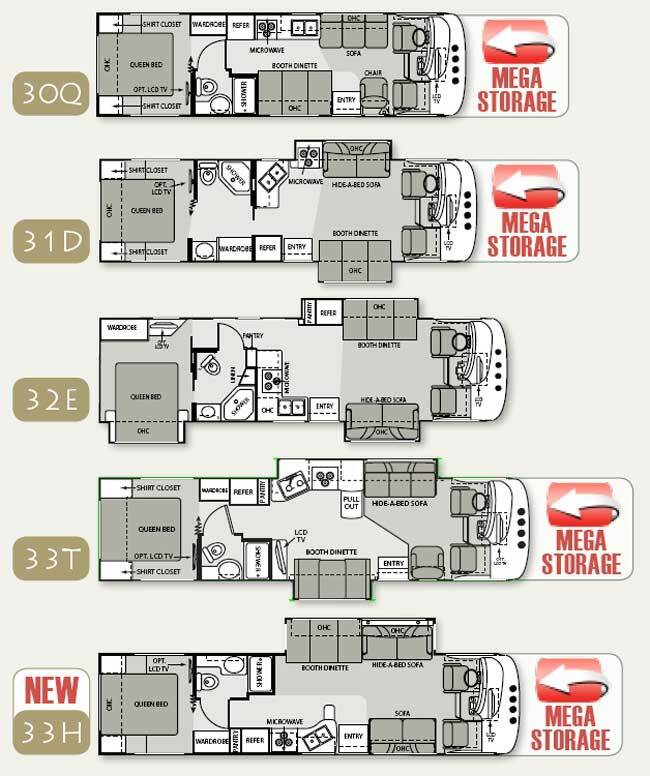 Just some of the features of the 2009 floorplans: New 34U floorplan with large U-shape dinette and king bed, New 33H semi-basement floorplan with Mega Storage, One-piece windshield for better visibility, InfinissTM Leather driver and passenger captains chairs, LCD televisions are now standard in all models, Optional outside entertainment center with 26″ LCD TV now with DVD player, Optional high-definition satellite dish, Side hinged flush mount radius luggage doors (on select doors), Optional electric patio awning, 34B and 34N now built on 22,000-lb. 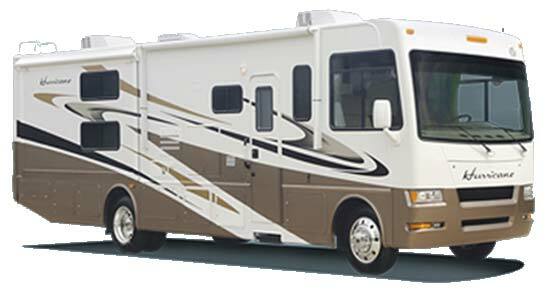 GVWR and 22.5″ aluminum wheels, 34B and 34N now have 50 amp service and dual 13.5 BTU roof airs, Optional full-body paint packages. 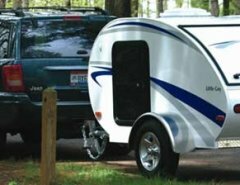 The 34Y is a really nice toy hauler model with a 96″ x 120″ cargo area. 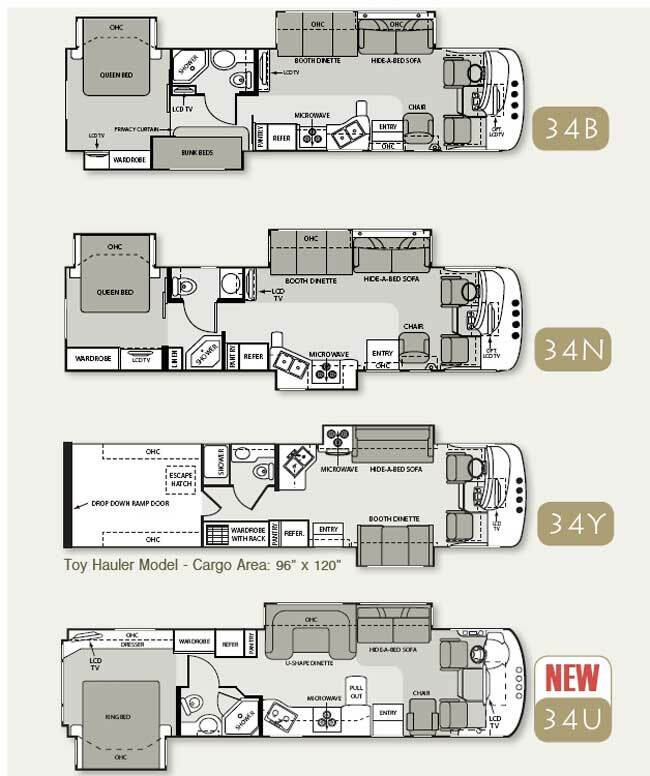 Slide numbers vary from no slides on the 30Q (the shortest model, 31’11”, semi-basement) to 3 slides on the 32E, 34B and the 34N models.